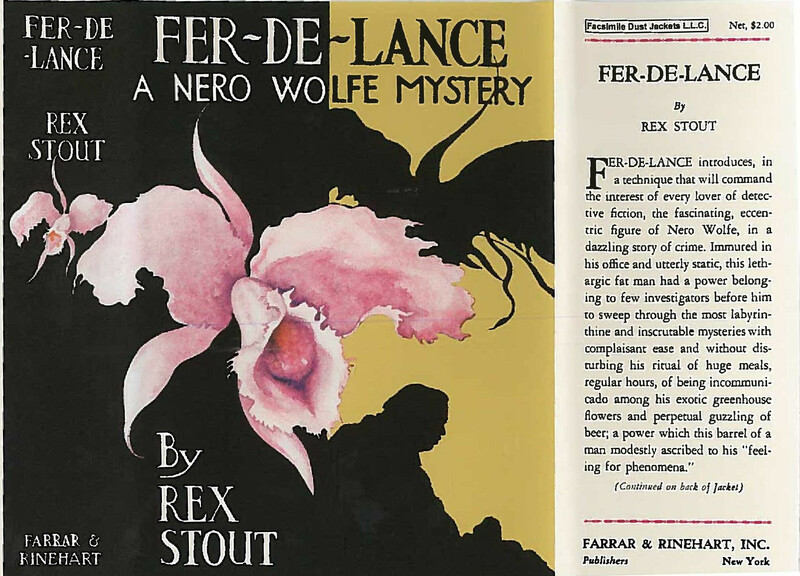 The scan is from the November 1934 issue of the American Magazine, where the first NW story made its first appearance, under the title “Point of Death,” which became “Fer-de-Lance” when it was published in book form. 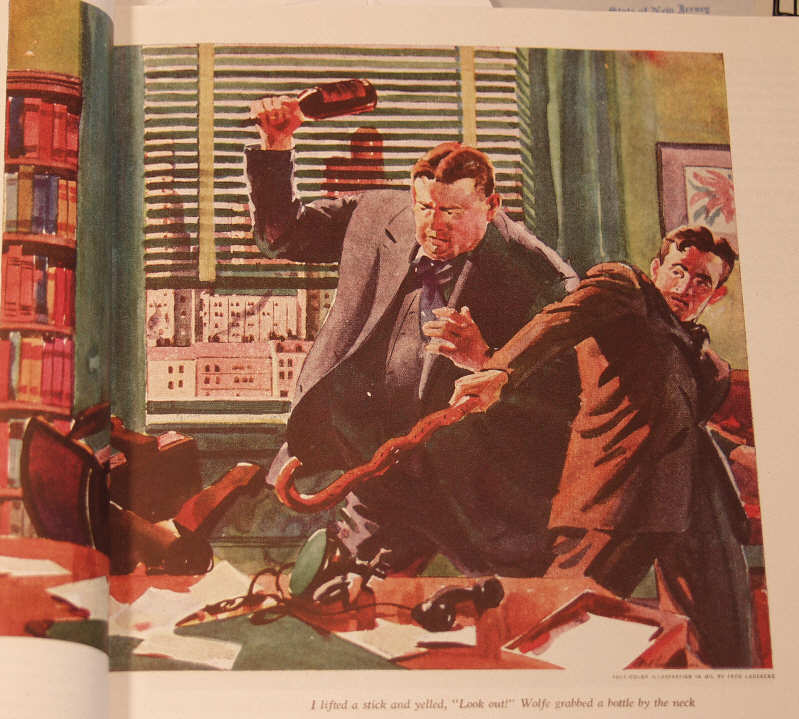 The artwork was done by Fred Ludekens, who may have also done other NW magazine illustrations — I’m out of town and away from my stuff, so I can’t check. 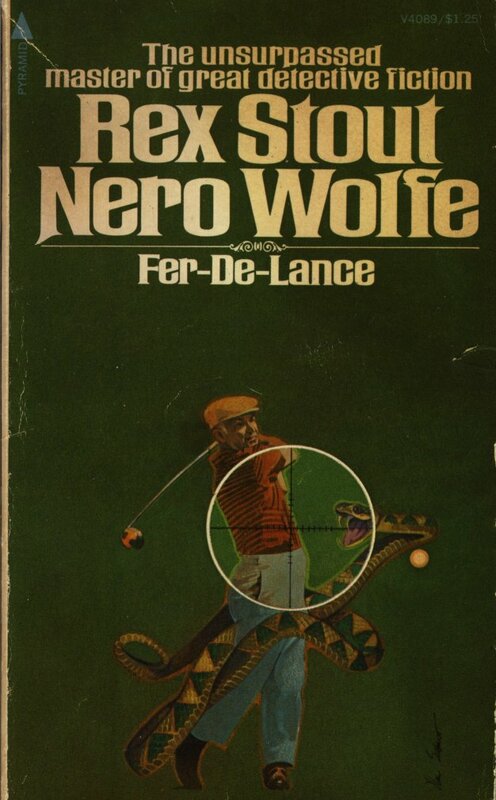 On the afternoon of Sunday, June 4, 1933, Peter Oliver Barstow, fifty-eight-year-old president of Holland University, was playing golf on the links of the Green Meadow Club near Pleasantville, thirty miles north of New York City. 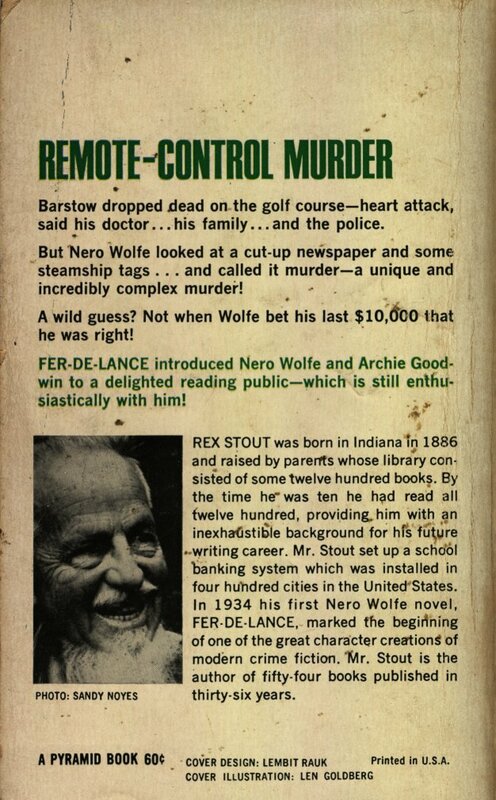 The round was a foursome, Barstow playing with his son, Lawrence, his neighbor, E. D. Kimball the grain broker, and Kimball’s son, Manuel. 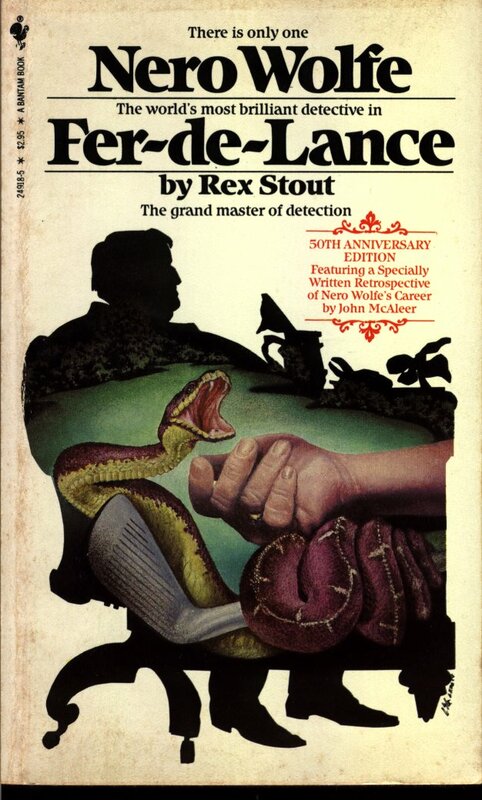 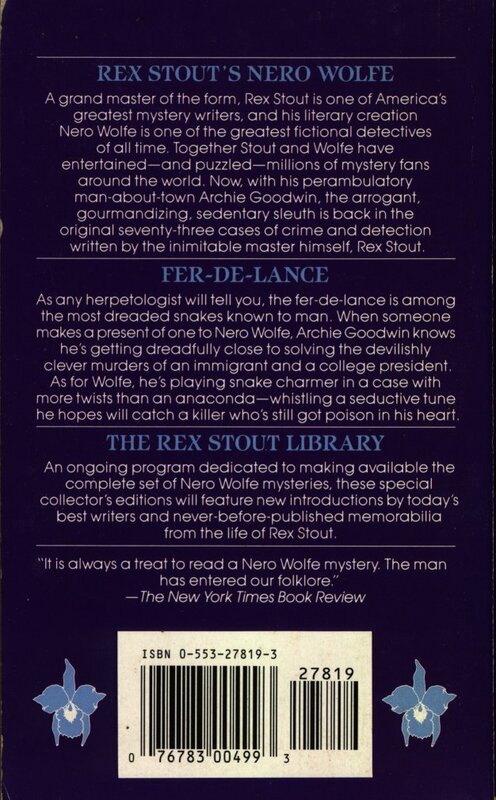 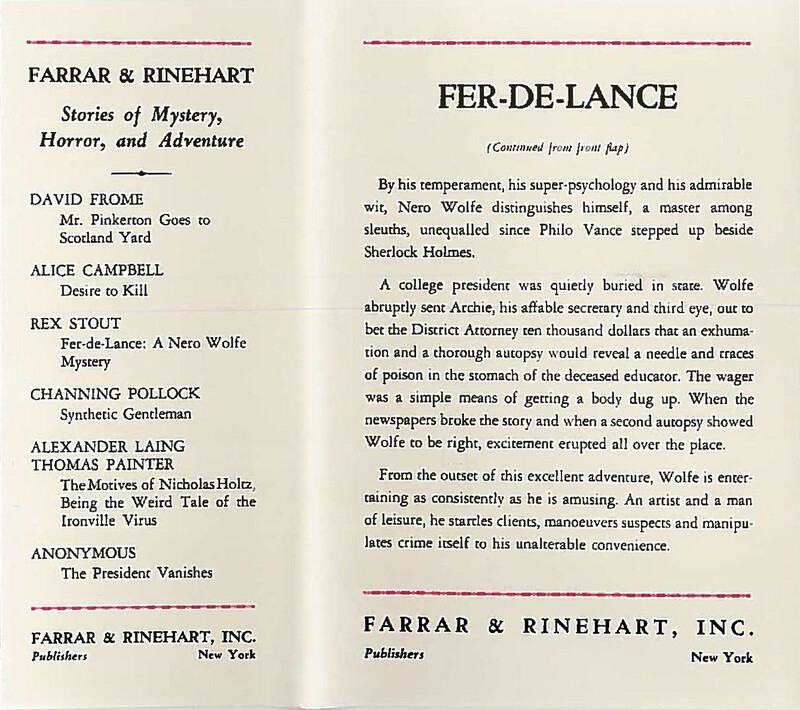 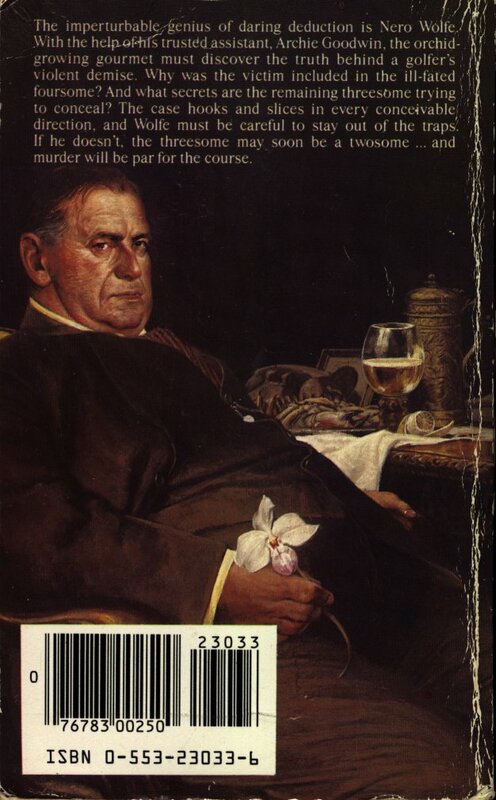 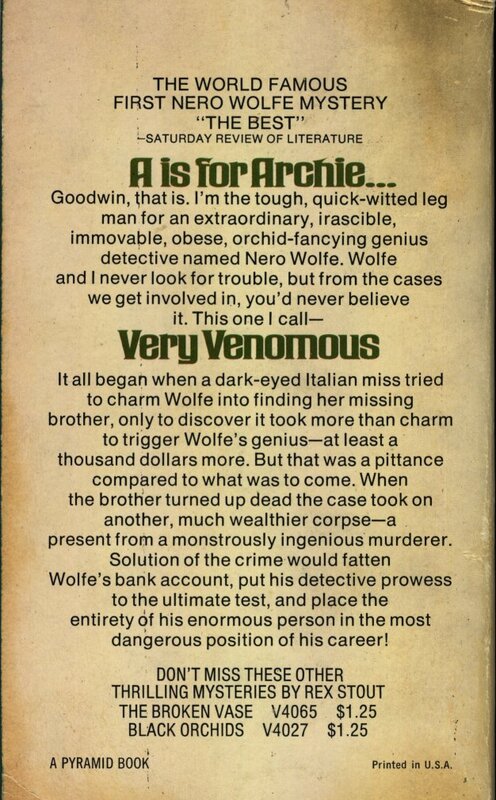 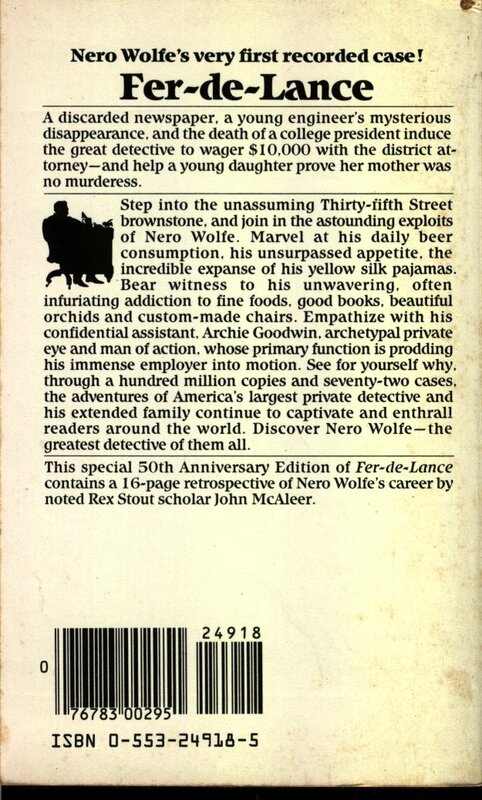 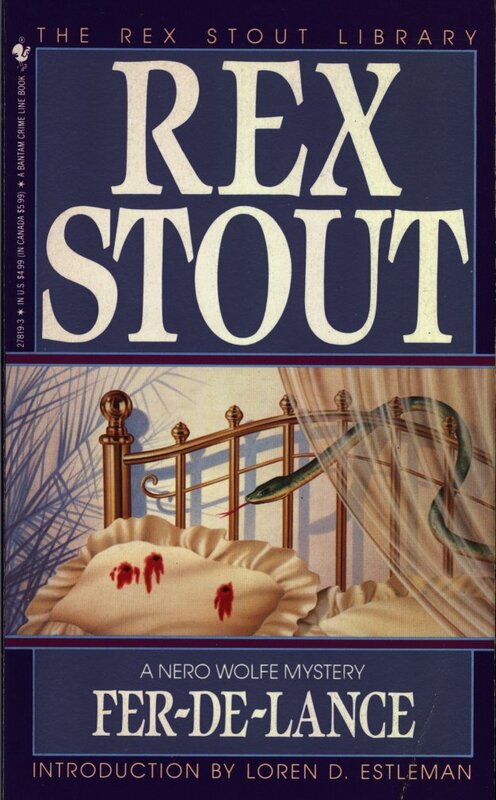 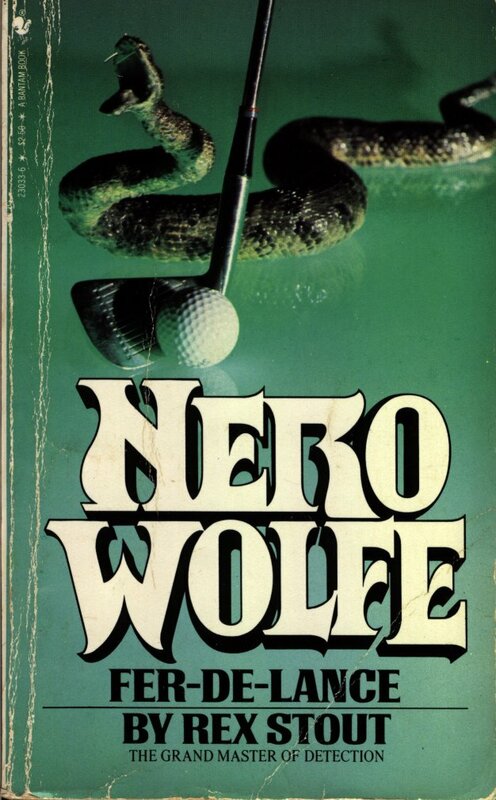 So began the first recorded adventure of Nero Wolfe and Archie Goodwin: the case Archie called Fer-de-Lance. 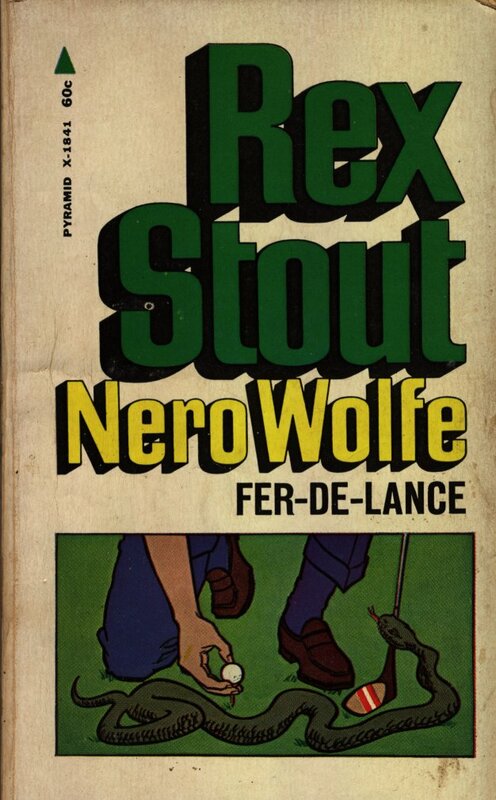 Wolfe was drawn into the case on Wednesday, June 7; he concluded it successfully just two weeks later, on Wednesday, June 21.